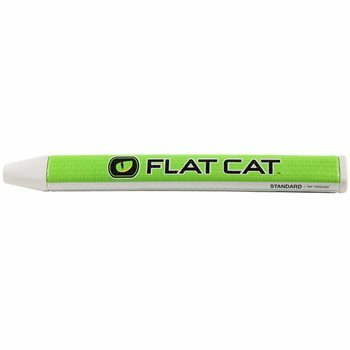 The Flat Cat Standard putter grip features the innovative FLAT1 Design that squares the hands to the putter face and provides TRU-alignment to the intended target line to improve putting consistency and accuracy. The grip is made from a lightweight polyurethane compound to deliver a softer, more comfortable feel. The Standard is perfect for any golfer looking to improve their putting.